Scarborough- Richard E Smith, 63 of Windham, passed away on October 13, 2017 after a battle with pancreatic cancer. He was born in Portland March 29, 1954 to Edward and Bernice (McVane) Smith. He attended Portland and Westbrook schools. His favorite activity was spending time with his grandson; they had a super special bond. 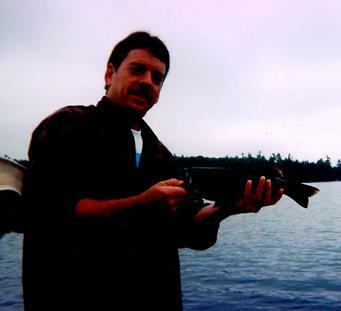 Other interests included hunting, fishing, camping- especially trips with Dave, bird watching and enjoying nature. His gardens exploded with flowers and vegetables. He had a knack for automotives. A self-taught craftsman, he rebuilt homes, custom made cabinets and furniture, some of which were from trees he cut down and milled himself. He followed NASCAR and other racing circuits. His employers included the State of Maine, Suburban Propane, Mainegas, the City of Portland and Asselin Construction. He could be found in a plow truck at the first sign of snow, or bouncing around in some sort of heavy equipment on the hottest summer day. He was predeceased by his parents. He will be missed by his daughter Amy Smith and Grandson Mason Maines of Windham, Step-Mother Arden Smith of Sebago, brothers Dana Smith and his wife Sally of Minot and Jeffery Smith of Mt. Joy, PA, as well as nieces, nephews and beloved yellow lab Jackson.